Motogear | ASSEN SBK. Double win in Evo class for Canepa. ASSEN SBK. Double win in Evo class for Canepa. 02 May ASSEN SBK. Double win in Evo class for Canepa. 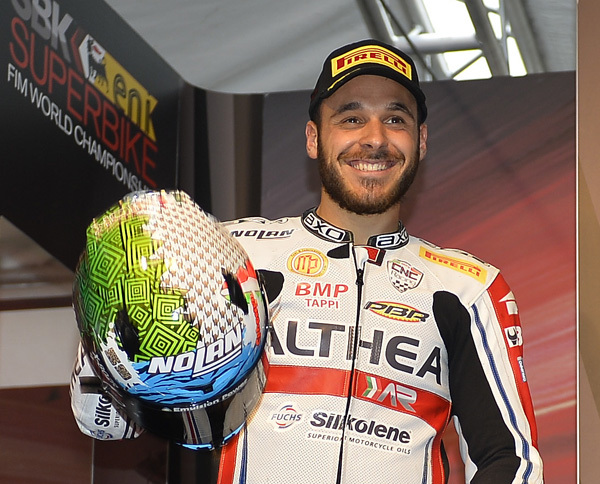 It was a very good race for Niccola Canepa after the performance in practice resulted in seventh place on the grid, achieving two tenth overall places and victory in Evo class in Assen GP which was affected by bad weather. 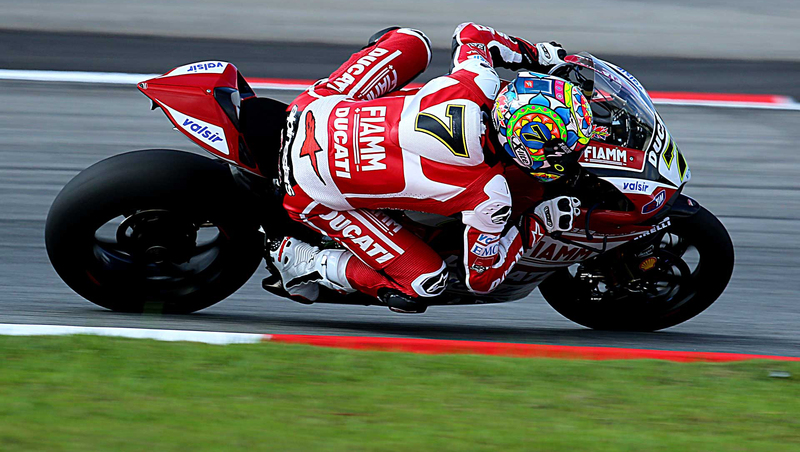 A weekend of disappointment for Spidi and Nolan factory rider Marco Melandri. In race one, due to the lack of feeling with the front of his Aprilia, he only managed sixth place. The same result in race two, which was shortened to ten laps after an early red flag for the heavy rain. Unfortunately, whilst trying to get a well-deserved third place, made a mistake in the wet conditions resulting in him going off the track on the penultimate lap. Chaz Davies was placed seventh and eighth. Melandri is now fifth in the Championship and Davies is seventh. The next race at Imola is in two weeks.